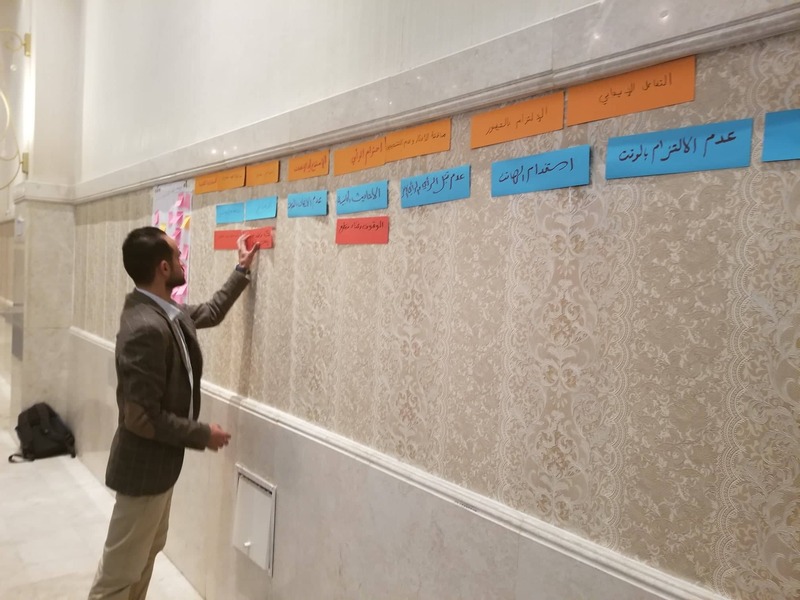 In December, the NIMD team in Jordan oversaw the latest step in our programme to support the country’s relatively young political party system. 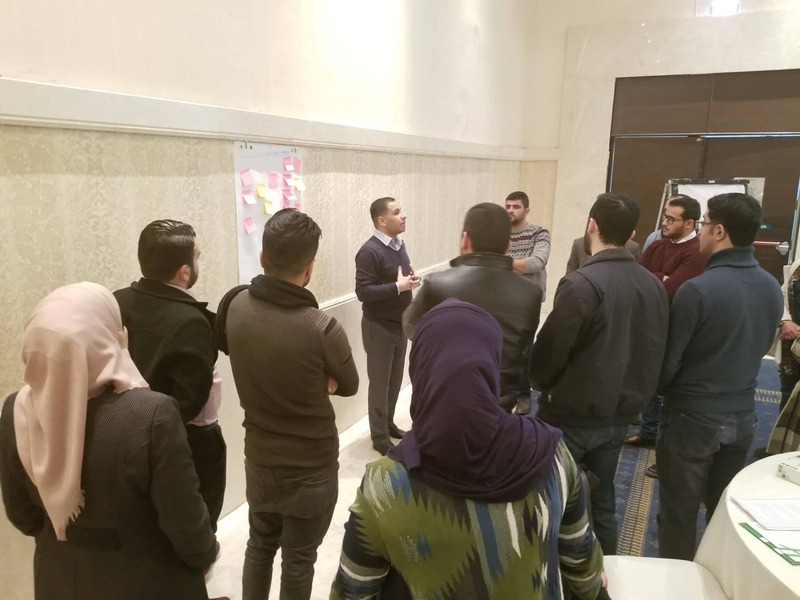 The second round of the young political and civic actors trainee programme hosted 25 young political and civic actors from across Jordan for training under the title ‘Participatory Politics & Democratic Principles’. 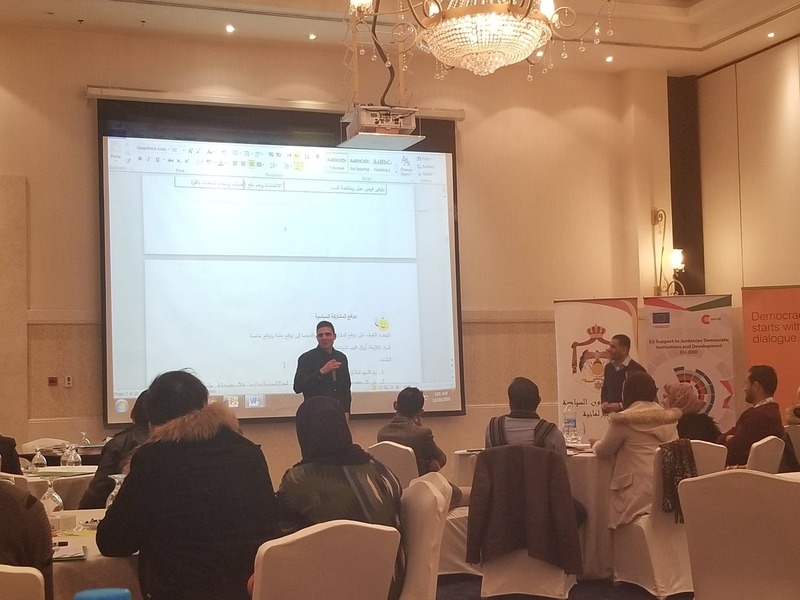 The session took place as part of the EU-JDID programme, and was implemented by NIMD in cooperation with the Jordanian Ministry of Political and Parliamentary Affairs. Dr. Aljrabie leading the session on theoretical and practical party matters. Local expert in democratic principles Dr. Ahmad Aljrabie took the participants through how parties can enhance public representation and effectively present their ideas to the voting public. The topics covered during the session included decision-making processes, the functioning of parties and the principles of democratic systems worldwide. Members from more than 20 parties braved the weather conditions to take part, alongside activists from a myriad of civil society organizations. It is hoped that the lessons learned here will now be disseminated through each trainee’s professional networks and support the growth of multiparty principles across Jordan. Participants from several parties and civil society organizations had the chance to share their work and ideas. Despite Jordan only opening up to multiparty politics relatively recently, there are almost 50 active parties registered in the country. Trainings such as this, with their focus on younger members and activists, capitalize on this momentum to encourage the exchange of opinions in a democratic, peaceful, and fun way. It is essential that parties can discuss their respective work together as part of their role in encouraging public participation. After the session, participants voiced their pleasure in learning about political party concepts and how to activate the persuasive power of parties to their constituents, especially alongside their political contemporaries. The EU-JDID programme is financed by the European Union.